Hey you. Yes, you writing the email to your co-worker in a cubicle two feet away from you. Ever feel like no one talks to each other anymore? We are all guilty. Email is easier, it’s quicker, it helps us keep a paper trail, and well, it’s just what we’re used to in the modern workplace.A Ever wonder what a regular workday was like before the advent of email? How did people manage, and what are the dangers of over-relying on this tool we often feel like we can’t live without? Email is characteristic of today’s get it done yesterday, go faster than fast, you’re never quite going fast enough pace. While it might encourage this lifestyle and work pace that is often nearly impossible to keep up with, it also helps us be more efficient. In our prior email-less world (gasp! ), mornings consisted of riffling through your inbox of hand-scribbled notes from your colleagues and phone messages from callers interpreted by an assistant. Can you imagine it? You responded by scribbling the responses and dropping them off in everyone else’s inbox. You wrote lengthy letters to clients, dropped them in the U.S. mail, and waited 7-10 days for a response. All letters were official, on letterhead, so everything was written formally. No mistakes. No sentence fragments. At this pace, the quick decisions we are accustomed to today were more than hard to come by. Modern workers, especially those who have never lived in an email-less workplace, could not imagine functioning like this. Still, just as email has solved a lot of our problems, it has undoubtedly created some as well. Messages from clients and colleagues come by email, but they are sent and opened around the clock. You are on 24/7. You write to clients as quickly, briefly, and often as informally as you do colleagues. 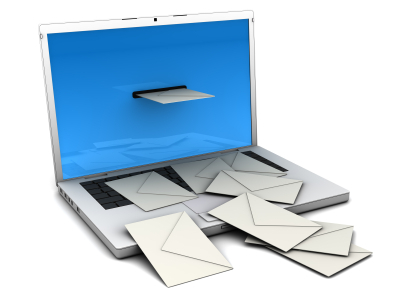 Our emails are often too informal.A Messages can become unclear, and decisions can be made too hastily. When email is over-used to replace face-to-face or even phone communication, people feel anonymous, and may grow hostile and rude. People feel isolated and disconnected, and some cannot put their personality on a page. They lose that big plus of personal presence-so much a dynamic in persuasiveness. Remember the times at lunch or at the end of the day, we actually got in our cars and relaxed? There wasn’t the constant interruption of emails, texts, and phone calls. We were able to breathe. To think. To relax. So what are we getting at? It’s simple. While email can be a great time-saver and efficiency creator, it can also distance you from colleagues and clients. Now we are not suggesting you stop using email. Why, the world might very literally stop if you did that! Just get up and walk over to a co-worker once in a while, pick up the phone instead of sending that one-liner, and get to know people. We know, it’s quite a concept to grasp, but it can and will help you build better relationships at work, so give it a shot, won’t ya?